The Four DISC Personality Styles. 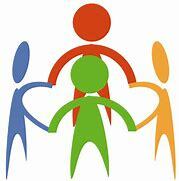 to know how to help others. and note that it was also in one of my previous newsletters. Be sure and scroll ALL the way down the page. There is a video at the bottom of the page on anger. To begin, let's get some basic personality knowledge. 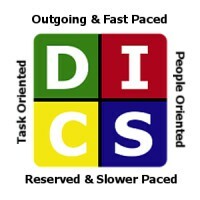 There are 4 basic DISC personality styles. The "D" which is outgoing and task-oriented. The "I" which is outgoing and people-oriented. The "S" which is reserved and people-oriented. The "C" which is reserved and task-oriented. "Ds" and "Is" are outgoing and fast-paced. "Cs" and Ss" are reserved and slower paced. On the right side are the People-Oriented styles. On the left side are the Task-Oriented styles. Note that each of us is a blend of traits from each of the four personality styles. Yet, the style that contains most of our traits tends to powerfully pull our thoughts in certain directions. different thoughts, and different goals. is generally true for most people. Understanding the anger of "Ds"
Let's listen in on the thoughts of the "Ds"
"You are wasting my time." "You are slowing me down." "You are not letting me control things." and quick to get over anger. "Let's get my goals done today." "Ds" need to understand that they are not the center of the universe. "Ds" need to understand that the "D" style is about 10% of the population - and the rest of us think very differently from them. into how mean and selfish they can be. People who want to express love toward "Ds" need to remember that giving lots of unimportant details during a conversation will often aggravate "Ds." People with the "D" style are very aware of how they spend their time. They want to accomplish a lot of tasks in their day. They are results-oriented. We can give love to them by helping them accomplish their goals and not just trying to overload them with our goals. Understanding the anger of "Is"
Let's listen in on the thoughts of the "Is"
"You are being too serious." "You are pointing out my mistakes and making me feel that you don't like me." "You are criticizing me and making me feel ashamed and that you dislike me." "You make me feel like I don't matter." "You aren't paying any attention to me." "You are making everything too hard for me." "You are taking the fun out of my life." "Let's all have fun today." "Is" need to understand that sometimes fun has to wait. "Is" also need to understand that when someone points out a mistake, it doesn't mean that the person doesn't like you. "Is" need to understand that they can greatly wound people (and relationships) by not honoring their promises. "Is" need lots of compliments and encouragement. Be an enthusiastic encourager to them. always assure them that they are liked. Understanding the anger of "Ss"
Let's listen in on the thoughts of the "Ss"
"You are creating conflict. I feel upset because there is conflict." "You are taking away my peace." "I am not feeling emotionally safe." "You are not being nice." "You make me feel terrible about myself." "You are not giving me enough time." "Ss" don't like to discuss what is making them angry. they will often choose to be passive aggressive. "Ss" need to understand that sometimes conflict is necessary. "Ss" need to understand that people are not mind-readers. It is helpful if "Ss" practice saying "no." It is helpful if "Ss" realize that sometimes we have to make ourselves discuss our feelings with others, or we will have to face the consequences of having our feelings squashed over and over. even the most gentle "Ss"
to always be ignored and forgotten. Piling that anger up for years can result in it erupting. For "Ss" who are married, that anger can become so great that divorce finds its way into their heart. People who want to express love toward "Ss"
the "Ss" feelings and needs. and words said with intensity. Also, giving them time to adjust to change is a big kindness to most "Ss". People who want to express love to "Ss"
Understanding the anger of "Cs"
"You aren't following the rules." "You are creating a mess." "You are doing jobs in a sloppy way." "You should know how to do this right." "You are not helping me." "I am feeling like I have to do everything." "Cs" have a deep desire to do things the right way. Unfortunately other people don't always have that desire. And to make things even more complicated, sometimes there is more than one right way - but "Cs" don't often see it that way! "Cs" are generally slow to get over anger. "Cs" need to understand that everyone doesn't share their deep desire to have everything organized, orderly, and perfect. They need to realize that sometimes there is more than one way to do things right. They need to realize that fun is important. will eventually lead to mutiny. more logical and less emotional. People who want to express love toward "Cs"
but they don't always verbally express it. "Cs" are trying really hard to be helpful. "Cs" do not realize that they are too critical. And please remember that "Cs" are internally harder on themselves than they are on anybody else. They carry really heavy burdens. giving it to your "C" loved one. It is called: Praying for your Child. Note that: It is not just about children. It addresses lots of life issues and how to help in all kinds of ways including prayer. All this material is copyrighted. God tells us to Love One Another. Learning about DISC helps us to love others the way they want to be loved. So consider getting my book about DISC - to learn how to bless others more effectively. It is not just a prayer book!